On July 1, 2013, Jonathan Orbuda established I Love Tansyong : Your One Stop Travel Blog to "help gather Filipinos and Filipinos-at-heart readers and travelers, thereby creating strong interest about Philippines and beyond ,” he said. “I Love Tansyong” described as Online Coffee Book of his travels, adventures and happenings .Going online was an easy decision to make. What is Philippines and Beyond? What are the hidden stories behind it? This Blog invites you to join his adventures, travels and challenges on bringing the Tales. • Food and Drinks- This Blog features Restaurants, Bars, Local Cuisines and What to best to eat in the Philippines. • Leisure and Fun – It also features Fun things and leisure activities that will surely give information on what to do and where to find places in town that will bring you to cloud nine. • Adventures and Travels- It will also give you Jonathan’s adventures and travel stories so that you can acquire some tips if you are planning to travel and to go for an adventure. • People and cultures- Talking about locale and cultures are also needed so that anyone should be aware with regards to practices of the people in a place to understand individual’s differences. • Philippines and Beyond – We all know how colorful the Philippine is because of the festivity, the history, the current issues and news, and considered as a home of beauty pageant winners. But This Blog will also feature some hidden stories of the pale side of the Philippines. “I Love Tansyong” is a one stop informative blog which provides equal reviews towards places, foods and etc to run materialize knowledge towards readers. Jonathan D. Orbuda, A 26 years old, motivational speaker, an HIV Awareness advocate, and now currently working in a BPO Industry . Orbuda, an Economics graduate, got exposed to the Net when he was 15, when he started blogging. Then, “I considered it a therapy – I was able to speak by writing (about my feelings) and then broadcasting it to the world. It was my online diary,” he said. 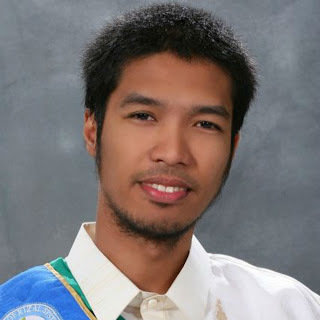 When he was in his first year in college, Orbuda signed up for Blogger.com, where he said he learned a lot about HTML, CSS, XTML – programs needed for Web development. His blog was somewhat controversial, he said, and “I got innumerable readers; and even in my University, I became popular. “Everybody asked about my next Post.” He said. And because of his blog, he was invited to join in a School Paper Publication. Orbuda eventually joined the student publication, which provided him with “proper” trainings for writing, laying-out, et cetera – all helping in bettering his blog site. At his senior year, Orbuda came across – and was inspired by – Web-based advocates. There’s Lloyd Luna, a 27-year-old Filipino motivational speaker whose “life story is very similar to mine,’ Orbuda said. Anti-HIV and AIDS campaigner Brian Gorrell whos blog became popular due to his exposé. Webpreneur Abe Olandres, who “blogged and earned a lot of money (from it).” . M.D. dela Cruz Tan, publishing editor of Outrage Magazine, the only Web-based publication promoting LGBT rights in the Philippines, James of “Journeying James” with an a epic of 100 days around the Philippines the cheapest way possible, and Mervz Marasigan of “ Pinoy Adventurista” who were able to rove around 80 Provinces in the Philippines. Tansyong is the Blog’s travel icon. It is not just an ordinary stuffed toy; however it is significant to my travel especially on capturing panoramic photos because Tansyong is the subject of it with a various background to bring the images distinctive. I choose monkey as an icon since monkey is very wise and tactful animal. And in travel being tactful is a requirement to survive. Aside from that, monkey stuffed toy is cute especially captured in a frame. I always bring Tansyong in my travel because it motivates me to rove alone and to travel a lot.